The Chicago Resilient Families Initiative Task Force, sponsored by Mayor Rahm Emanuel, has an asinine proposal on the books. The pilot will undoubtedly be a success. How can it not be? If you give 1,000 poor people an additional $12,000 a year their lives are 100% sure to improve. It's easy to improve the lives of 1,000 people by giving them free money no strings attached. The obvious problem is that it cannot possibly scale. 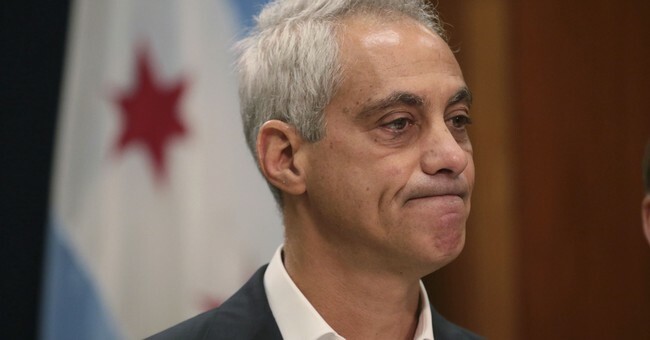 The Chicago Tribune reports, "The $8.9 billion 2019 package included no vote on new tax or fee hikes, music to the ears of the council members who will be up for re-election in February and don’t want to give opponents that cudgel as they try to defend their seats." Even if we only give money to those at the poverty level, 12.4% of the population, we'd be light-years away from "universal income" and the Chicago city budget would go up by a mere 36%.